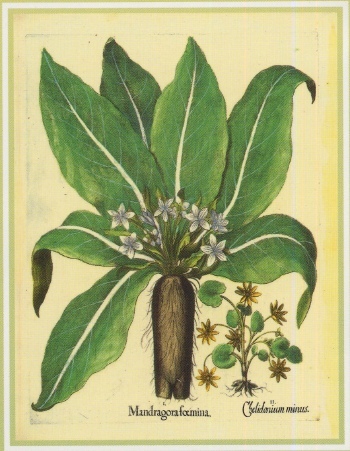 Basilius Besler: Hortus Eystettensis. 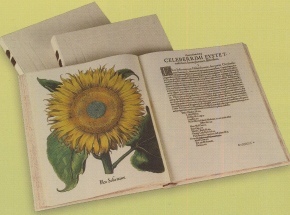 Deluxe facsimile edition of the Eichstatt, 1613 edition. Basilius Besler, a Nuremberg apothecary, was in charge of the gardens of Prince Bishop of Eichstatt. They were probably the first comprehensive botanical gardens devoted to flowering plants, many of which were imported from the Americas and the Ottoman Empire. Besler began writing a simple herbal devoted to plants of medicinal value, however under the patronage of Prince Bishop he was able to expand his work into a massive herbal—the Hortus Eytettensis (The Garden of Eichstatt). In this first large-folio natural history botanical, taking 16 years to complete, Besler documents the vast garden at Eichstatt, depicting each plant as it bloomed throughout the seasons. Over 1,000 varieties of flowers are depicted in 367 beautifully engraved and colored plates. The principal engraver was Wolfgang Kilian (1581-1662), but as many as 10 other artists may also have been involved. The Hortus Eystettensis is the first botanical in history to portray flowering plants as objects of beauty. 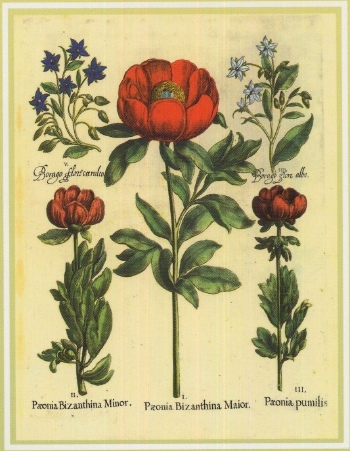 Experts point out its special seminal importance, both deviating from the non-esthetic and awkward representations of preceding publications which focused on herbal subjects and setting the standard for all great flower books of the following centuries. Format: 3 vols, 43.5 x 52 cm, 367 pp, plus 286 pp commentary (It/Eng/Ger) by A. Menghini, D. Contin, K. Littger, W. Dressendorfer, & W.D. Müller Jahncke. Limited edition of 1500 numbered copies bound in full leather. Euro 9,600. Please call for special OMI price.